40mm case design, simple but masculine, the bezel is slim and elegant that exquisitely surround the dial. The rounded crystal is slightly higher than bezel, when sun light shines on the dial, it allows the time reading to be more convenient and clear. The watch adpots crown logo, which has a high degree of brand recognition. 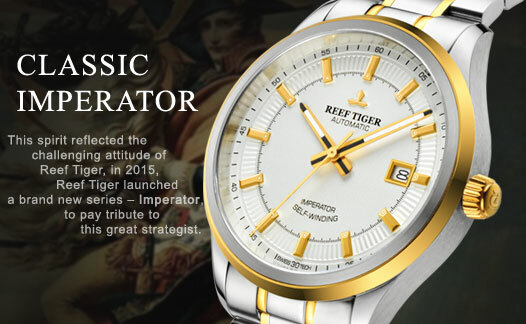 Meanwhile, crown also implies rights and dignity, it is a tribute to Napoleon brilliant life. 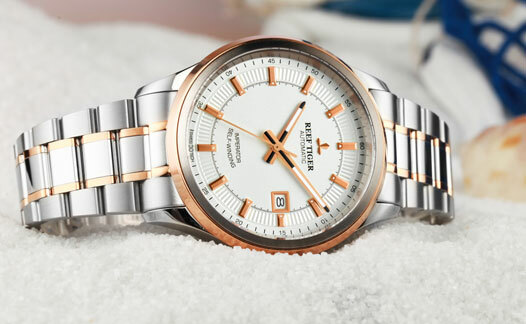 Imperator watch adpots wedge-shaped hour markers, simple and elegant, especially the end of the markers has white luminescence coated, which echoes with the white minute scales. 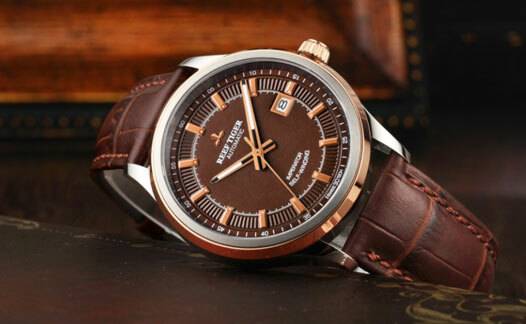 Life is a journey, time passes constantly, the wedge-shaped hour markers of Imperator watch uses track-style patterns, the whole watch style is unified. This watch is simple and calm in whole style, but its uses contrast skills in hands design, knurling hands echo with the wedge-shaped hour markers, the black part on hour and minute hands are masculine, while the white part is pure and elegant. The date window is at 3 o’clock, the overall layout is harmonious and orderly, black date font on white background, this design makes reading more clear, metal frame design also coincides the masculine theme of Imperator series. 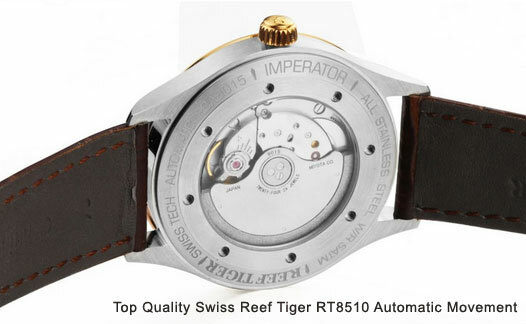 The watch adopts swiss Reef Tiger RT8510 automatic movement, after being adjusted by Reef Tiger watch masters, its inaccuracy is controlled within 5 seconds. In polishing, the plates edges are round and smooth, each screw, spring and gears are shiny, very beautiful.